This area of Jacksons Creek and Blind Creek has a relative abundance of platypus, as well as many other birds and animals. Regeneration and revegetation will help prevent the waterway from eroding, enjoy enhanced wildlife habitat and improved amenity for the community. 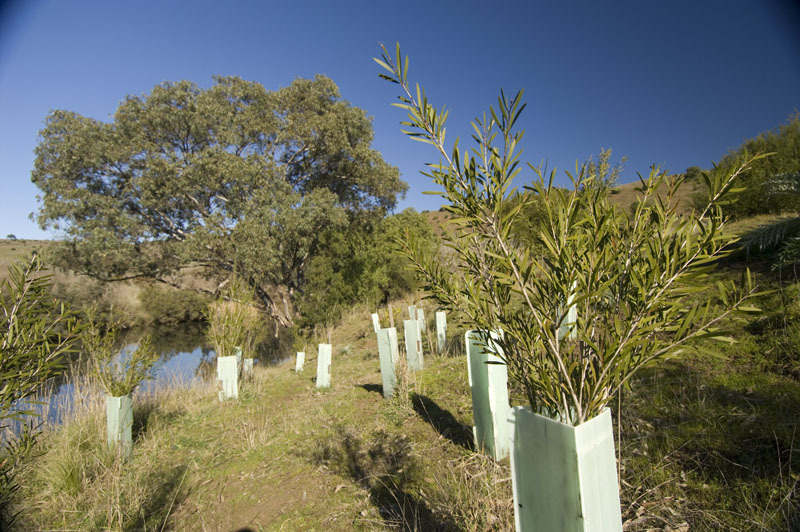 Weed control and revegetation along approximately 1.4 kilometres of waterway involves treatment and removal of noxious weeds (through a staged approach to minimise the impact on platypus habitat) and the planting of approximately 5000 trees. Melbourne Water ensures our waterways bring value to the community, are protected and improved, and provide the greatest benefit to native wildlife. Caring for waterway health in the Port Phillip and Westernport region, with the help of many other organisations and individuals, Melbourne Water maintains water quality and natural ecosystems. The weed control and revegetation works will complement previous investment along Jacksons Creek both upstream and downstream of the confluence with Blind Creek and will contribute to a continuous, healthy riparian corridor.